How can urban planning and design support active use of the public realm by children and families? The restricted life of children is having an increasingly negative impact on their healthy development. Many children are not allowed to venture out alone or even with their friends as the previous generations did. How can we plan and design a public realm where children find the physical and social stimulation necessary for healthy human development in consonance with the culture and ecology of the place? As cities in North Carolina grow and develop, multiple opportunities are needed to support healthy human activity in the public realm. The aim of the symposium is to start a discussion about how planners and designers can face the challenge of maintaining and enhancing the well-being of urban families across the state. European design innovations such as home zones together with community participation processes and design guidelines will serve as triggers to discuss potential next steps for Raleigh and similar cities desiring to grow in harmony across the life span. Robin Moore, Director, Natural Learning Initiative. Designing urban environments for healthy child development. Dan Douglas, Division Manager, City of Raleigh Urban Design Center. Child-friendly neighborhoods and downtowns. Russ Stephenson, AIA, Raleigh City Council. Complete Streets: Bringing city streets back to life. Rodney Swink, FASLA, NC Office of Urban Development. 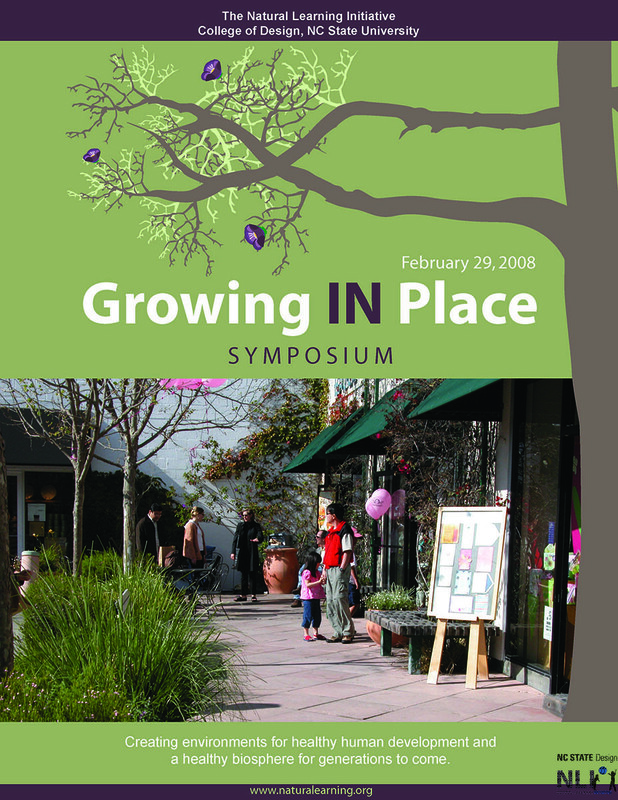 Growing in Place: How to make downtowns generation-friendly. Gregg Warren, President, DHIC Inc. Strengthening Urban Low-Income Family Communities.